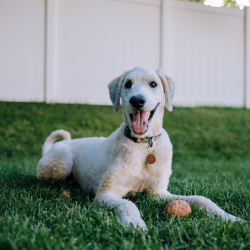 Perhaps you’re trying to keep your pets contained within your yard? Maybe you’re trying to keep your annoying neighbors out? Whatever the case may be, you’ve decided to install a security fence around your yard or commercial property. 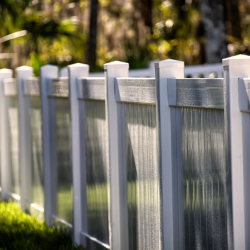 Now, you might be wondering how to go about choosing the appropriate fence for your needs. Do some materials do a better job of providing security than others? What considerations must be made? 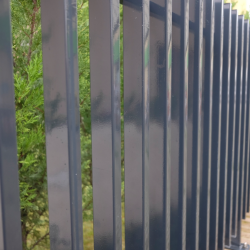 In this blog post, we’re going to cover everything that you should consider when installing a security fence in Lincolnshire, Illinois. The fact is, different fence materials possess different capabilities. While some of these materials do a great job of providing security, others do not. The materials that are most successful for security purposes are those that are most difficult to break through. Number one on this list is wrought iron, a material that’s almost impossible to bend or smash through. The other material on this list is chain link, a material which can only be compromised with the use of metal cutters. 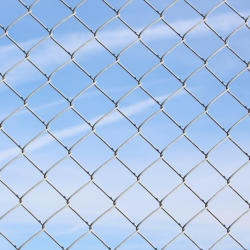 Though all fence materials provide a baseline of security, some of them won’t stand up against any substantial form of physical trauma. For instance, if a person really wanted to get through a wood fence, that person could smash through it fairly easily. The same is true for vinyl. Aluminum fencing isn’t as easy to get through as vinyl and wood, but it’s fairly malleable. It’s conceivable that someone could bend your aluminum fence poles and squeeze their way through to your property. In essence, while all three of these materials could be used to restrict wandering animals, they can’t be trusted to stop all human beings. 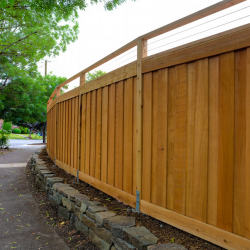 The height of your fence plays a big role in its security capabilities. While a 4-foot-tall fence can easily be climbed over, a 6-foot-tall or 8-foot-tall fence creates a bigger challenge. 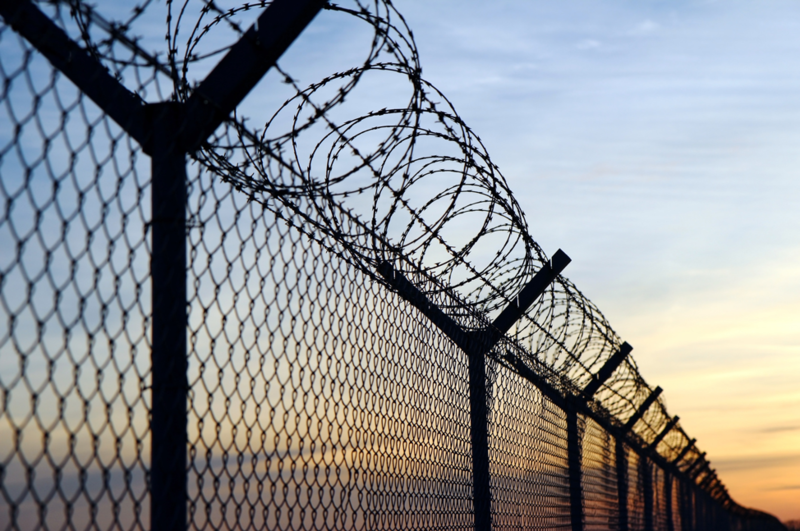 Think of the fences that you see around prisons, warehouses, and other highly secure areas. These fences usually stand at least 12 feel tall, making them very difficult to climb over. In contrast, many residential fences are only around ⅔ the height of average adults, making them much easier to climb over. In the end, you’ll want to choose a height proportional to the level of security you need. Need only minimal security? A 4-foot-tall fence might suffice. Need to keep people out at all costs? You’re going to want to choose a fence that’s at least 8 feet or higher. 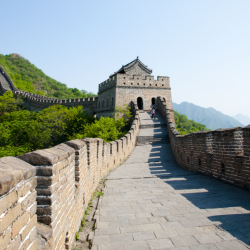 Another aspect you’ll want to consider when installing a security fence is climbability. Some fence materials are easier to scale than others, ultimately making them less secure. For instance, because it contains openings where people can put their feet, chain link fencing is easier to climb than, say, wood. Wood fences possess no ridges, making them very difficult to scale. What are You Trying to Keep Out? 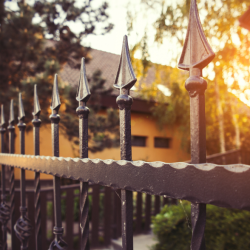 The type of security fence you install is also dependent on what you’re trying to keep out of your property. There’s a difference between keeping your yard secure from wild animals and keeping your warehouse secure from potential thieves. Generally, a residence can make do with a 6-foot-tall version of any fence material. A warehouse, on the other hand, likely needs to be secured with something that’s fairly strong. This is why chain link and wrought iron are commonly used around high-volume commercial properties. 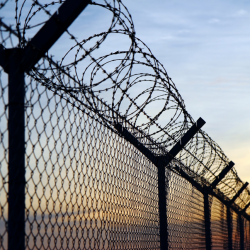 Ready to Install a Security Fence in Lincolnshire, Illinois? 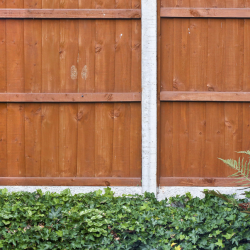 Now that you understand these considerations, you might be ready to call up a Lincolnshire area fencing company and get the installation under way. Looking for a reputable fence company in Lincolnshire? Action Fence is the company to call. 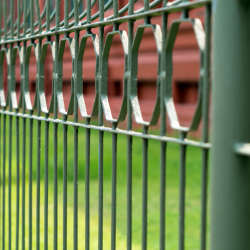 In business since 1975, we have installed countless security fences throughout the Lincolnshire area. Regardless of the material you’re looking to use, we can accommodate you.